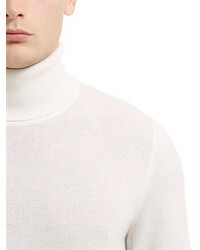 A white knit wool turtleneck and navy skinny jeans married together are a savvy match. Balance this getup with a more polished kind of footwear, such as this pair of black suede casual boots. 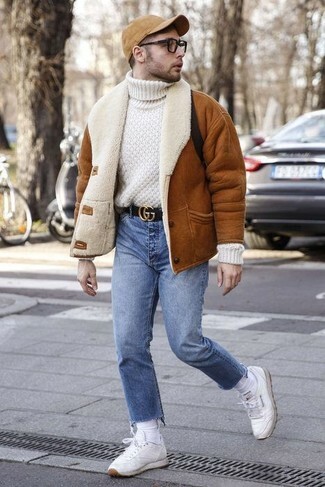 If you're after a casual yet stylish ensemble, consider pairing a white knit wool turtleneck with blue jeans. These two pieces are super comfy and they will also look great paired together. When it comes to shoes, this outfit is finished off nicely with white leather low top sneakers. 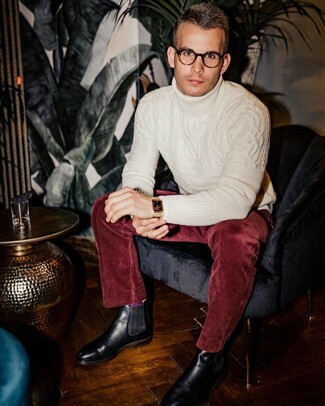 A Z Zegna Wool Cashmere Knit Turtleneck Sweater looks especially sophisticated when paired with burgundy velvet dress pants. If you're wondering how to finish off, a pair of black leather chelsea boots is a fail-safe option. 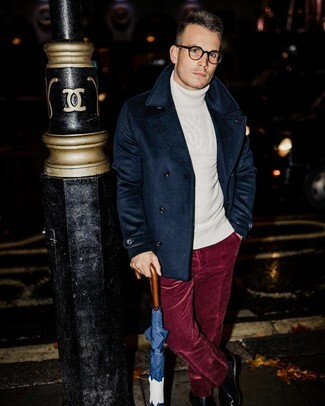 Definitive proof that a Z Zegna Wool Cashmere Knit Turtleneck Sweater from LUISAVIAROMA and burgundy corduroy dress pants are awesome when matched together in a refined look for a modern dandy. 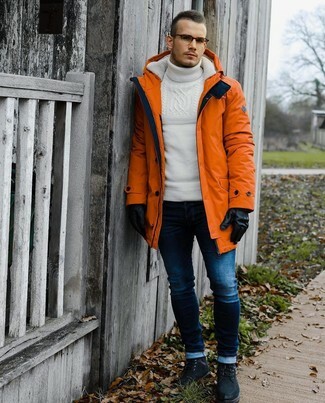 The whole outfit comes together if you complement this ensemble with a pair of black leather chelsea boots. 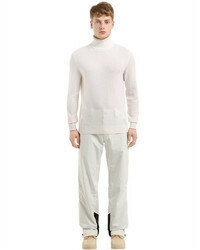 If you're on the hunt for a casual yet on-trend look, pair a white knit wool turtleneck with grey corduroy chinos. As well as very comfortable, these two items look wonderful paired together. And if you want to instantly up the style of your look with one piece, add dark brown suede derby shoes to the equation. For a casually elegant look, consider teaming a Z Zegna Wool Cashmere Knit Turtleneck Sweater from LUISAVIAROMA with brown plaid wool dress pants — these two pieces work pretty good together. Opt for a pair of white leather low top sneakers to make the outfit current. 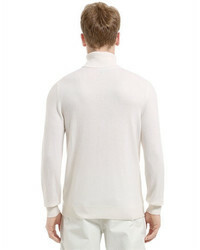 This elegant pairing of a Z Zegna Wool Cashmere Knit Turtleneck Sweater from LUISAVIAROMA and navy wool dress pants is a popular choice among the sartorially superior chaps. If in doubt about the footwear, go with a pair of burgundy suede chelsea boots. 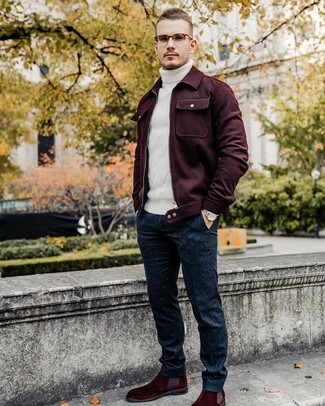 We're loving how this pairing of a white knit wool turtleneck and navy wool dress pants instantly makes you look polished and dapper. 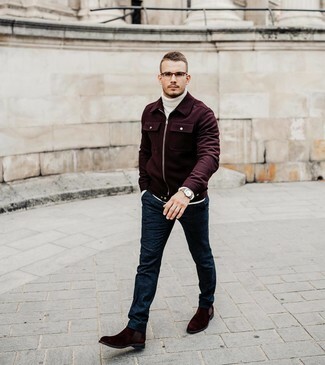 Introduce burgundy suede chelsea boots to your look for extra fashion points.